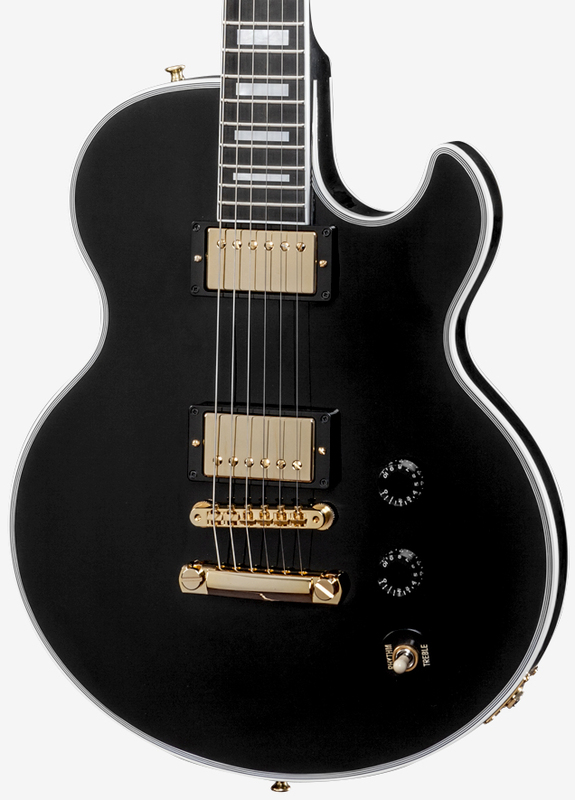 A '70s classic spec'd out for the ultimate rock star, with chambered maple body, five-ply neck, Burst Bucker pickups, and LP Custom-style 'Tuxedo Features'. 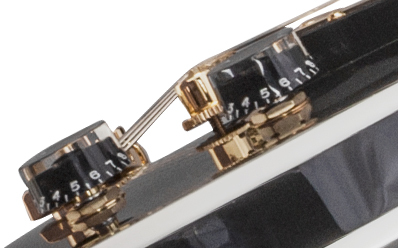 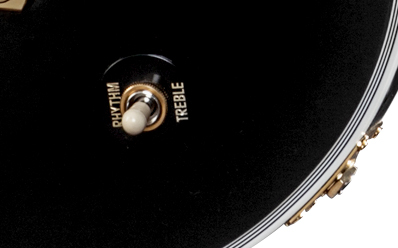 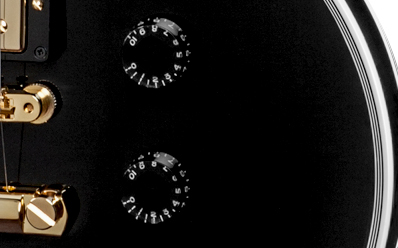 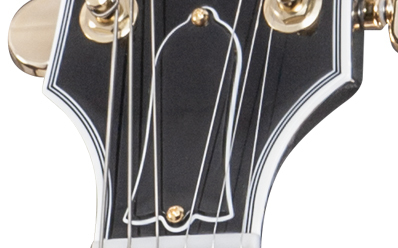 Joint Angle Tolerance: No less than .650"
Although we think of all the great Gibson electrics as being made in the “golden age” of the ’50s and early ’60s, a few genuine classics slipped in during the years between the end of that era and the rebirth of Gibson standards a little over two decades ago. 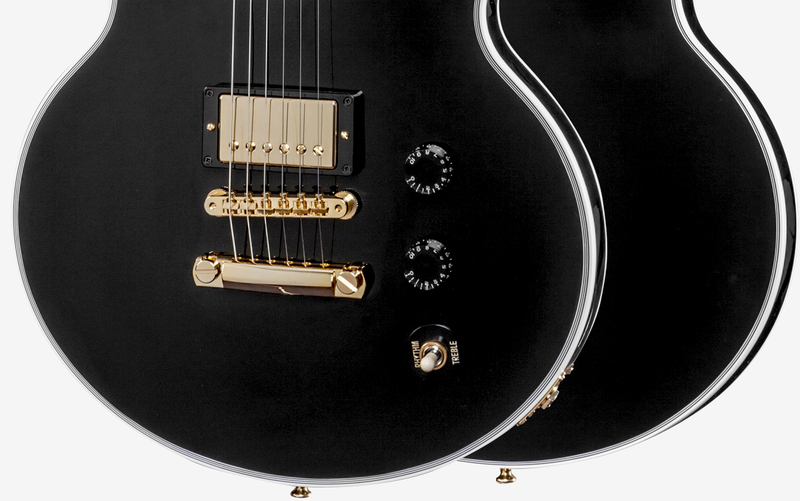 The L-5S is one such guitar: Gibson’s top-tier solidbody at the time of its introduction in 1973, it has long been the favorite of Rolling Stones and Faces guitarist Ron Wood—an artist who knows a “rock star guitar” when he finds one. 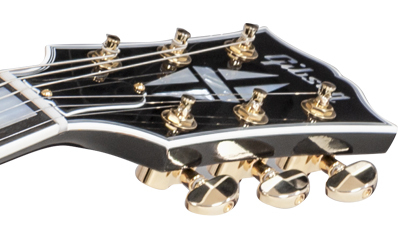 Updating the format to our exacting standards of 2015, Gibson Custom introduces the Ron Wood L-5S, a finely crafted artist’s guitar that sounds every bit as upmarket as it looks. 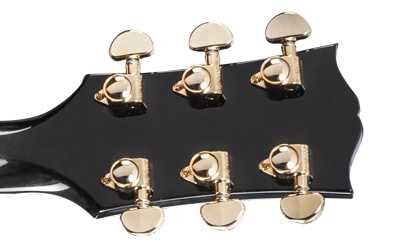 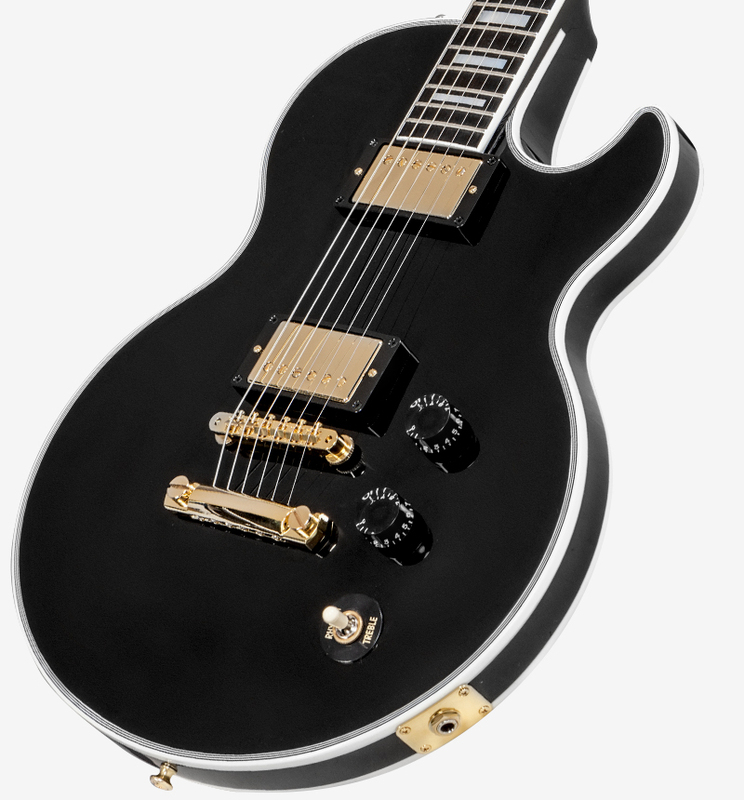 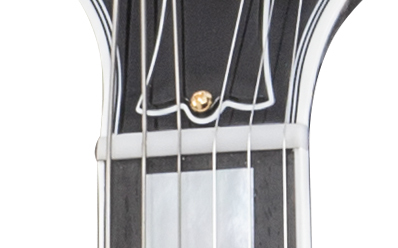 Distinctive features include a chambered maple body with carved top, the five-ply maple/walnut/maple L-5S neck, and iconic Les Paul Custom-style “Tuxedo Features” such as multi-ply top and back binding, pearl block inlays, a multi-ply Custom headstock with pearl split-diamond inlay, and gold hardware throughout. 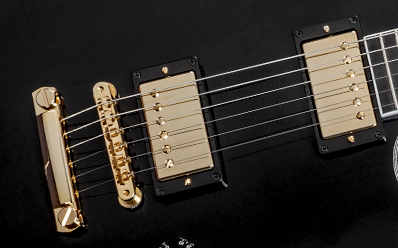 Add Ronnie’s choice of Burst Bucker 1 & 2 humbuckers and you’re ready to rock. 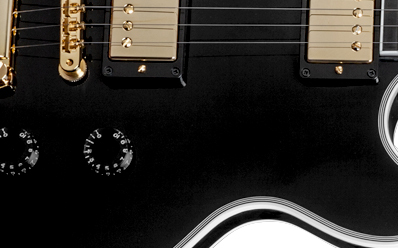 The first 50 guitars have been signed by Ron Wood.